I Stumbled Upon this unbelievable artist, Brandon McConnell. The man rules the spray can!!!! His video that I happened across entirely transformed my view of the aerosol arts! 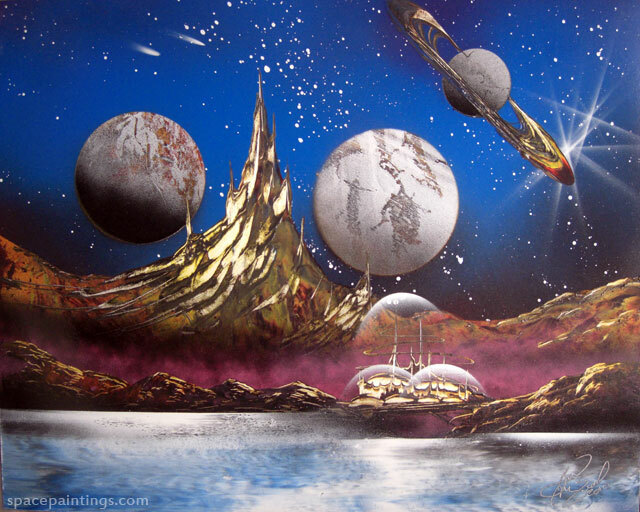 Check out one of his vids here on YouTube or on his website, www.spacepaintings.com . You can not help but be inspired (or if you are an artist, after watching this, you may choose to give up on art completely! lol).